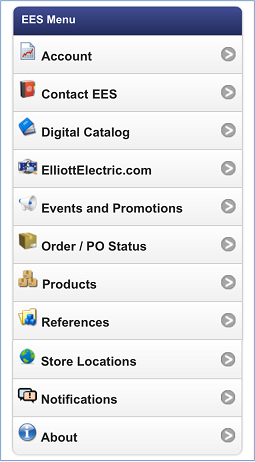 The new mobile app from Elliott Electric Supply is now available for your Android, iPhone, iPad, and iPod Touch devices. 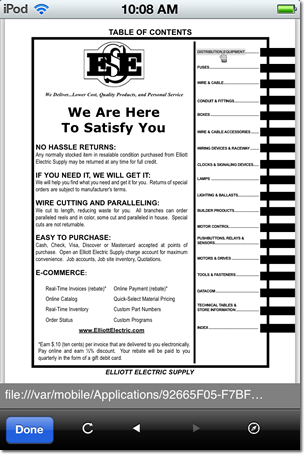 Frequently updated, our app represents another area where Elliott Electric Supply is leading the industry–find a store, browse our catalog, check your order's status, view your account balances, and make use of handy electrical calculators and other tools–all in the palm of your hand! Digital Catalog – section links for efficient browsing and part numbers that link directly to the given item on our website. Store Locations – find a store, pinpointing the nearest one to your current location. Get directions and store contact numbers, including 24/7 emergency service numbers, maps, hours, and other store details. Create a list of Favorite stores for quick access and offline viewing. 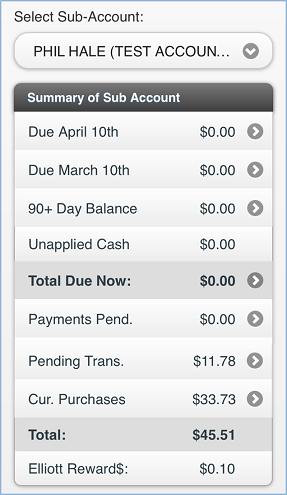 Account – check your real-time account balances, including pending transactions and payment due date amounts. View an invoice summary for each dolloar total. You can also view data for individual Sub-Accounts by selecting them from a drop-down list. Order/PO Status Menu – search for jobs and quotes and see their current status. You can search by current status (in progress, open, etc.) or by scanning ticket barcodes. You can also view an order recap detailing the status of the dollar totals on the order. References – this portion of the app opens up to a complete sub-menu of guides, calculators, charts, and more tools, to which we make new additions every few weeks. 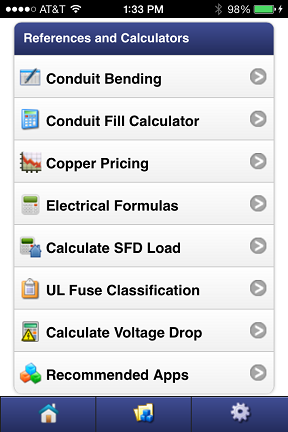 Some of the current features on the app's References menu are: Conduit Bending Guide, Conduit Fill Calculator, Live Copper Pricing Charts, Electrical Formulas, UL Fuse Classification, Voltage Drop Calculator, etc. Products – use your custom lists, or our featured lists to search for products. You can also search for in stock products faster using our Quick Selects. The product details page has been designed with mobile friendly viewing and allowing you to quickly order items and/or add an item to one of your custom lists. Contact Us – a full Elliott support team is at your fingertips. 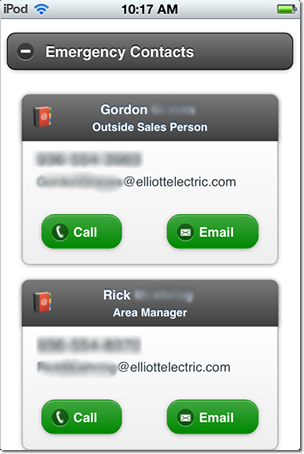 Instantly get in touch with your Sales rep, Account/Credit Rep, or with technical support. Take a photo and send it to your Elliott sales rep, or to your Credit rep. Feedback – your input is always important to us. 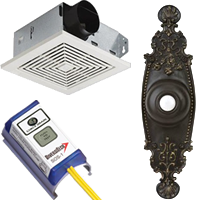 It's what makes Elliott technology and service the best in the industry. With this portion of the app, we give you shortcuts to report a problem, suggest a new feature, or ask a question about our products or about your account/billing. Notifications – enable push notifications for catalog updates, promotions, etc. Enable push notifications for Will-Call orders for all or individual sub-accounts. Events & Promotions – view copies of the most recent Electric Times or visist the archive. View upcoming events on the EES Events calander including counter days, bass tournaments, trade shows, and more.